The Digital Media program, under the Department of Information and Logistics Technology, offers you the knowledge and experience to put the full arsenal of digital media in your hands. Whether your goal is to work in a Hollywood studio, be a program manager in the local medical industry, be a project manager for the international Oil & Gas industry – or even build your own new enterprise – modern business thrives on its ability to communicate with their customers and tell their stories with the technology you will learn in the Digital Media program at the University of Houston. When it comes to communicating your message, the mantra of the Digital Media program echoes through our hallways, “The right message to the right person at the right time with the right medium.” There are a variety of ways to reach your audience, but for your message to have an impact, you need to have a strategic plan for your communications. The Digital Media program not only teaches the tools that you need to create your communication but also will help you build an understanding of strategic thinking and end-to-end campaign planning. 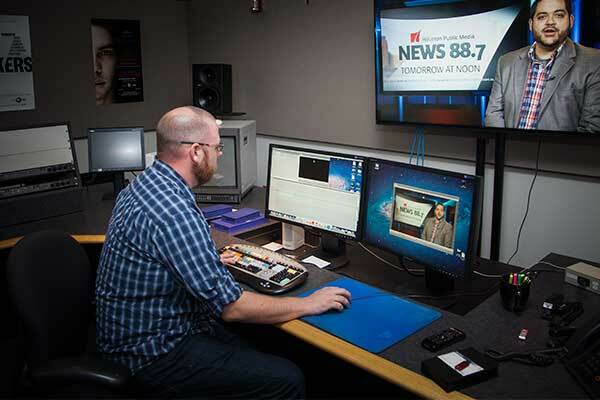 The Digital Media program will provide you with a foundation and understanding of all of the aspects of digital media so that you can understand how to make them work to your advantage. While each student is asked to choose an area of emphasis to direct their learning, you will gain hands-on experience in a variety of skills and technologies so that when you move on to a career in the industry, you will have a working knowledge of how each medium can enhance the impact of the others. What are your purposes in majoring/minoring in Digital Media Production and what made you want to do this? I’ve always been a tech nerd and wanted a degree that I could continue to learn about technology and form a career at the same time. What do you plan on doing with your degree? Do you have any goals for the future? I plan on continuing my career in television broadcasting. My summer internship helped in finding a job before I graduate. 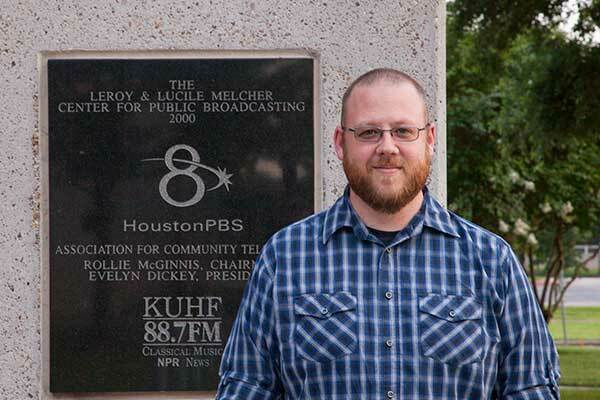 Currently, I’m a Promotions Producer for Houston Public Media and look forward to the challenges ahead. Do you have any advice you would like to share with other students? Yes, do an internship. No matter the requirements for the application process set aside some time and do it. As stated above, my internship has lead to a position in a field I want to be in, while finishing school and a fulltime position when I graduate. Also, when working with software always push yourself. In a project, if you find yourself wondering if a certain element could be created or done in a different manner that would add originality, try it…you may surprise yourself and others. Born in Texas, from the Dallas/Ft Worth area. Married to my high school sweetheart and have two awesome dogs. Yes, but its Texas, and I plan on moving to a cooler climate. West coast, East coast or the Rockies. Heavy Metal and Classical…..from Mozart to Slayer. It’s amazing how connected they are. What are your interests? What are your hobbies? Videography, website design, editing, and some photography. My hobbies include guitar, computer repair, Android, and Swiss watches. Leadership, creativity, print, Computer Graphics, web design and eMedia, eCommerce, photography, motion media. These are the areas that are explored in the Digital Media Program, offered by the College of Technology at the University of Houston. The College of Technology's Academic Services Center helps prospective students become future Cougars! Make an appointment with one of our Academic Services Center advisors to speak in more detail about any questions or issues that you face. If you are a transfer student, be sure to see an advisor.